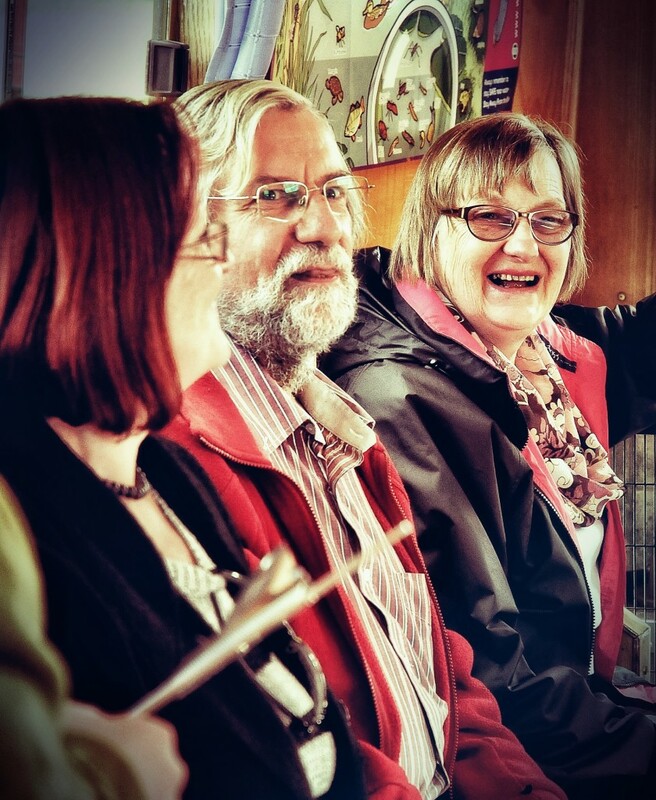 Blue Route is our “sit-down intermission” between the two walking routes (Green and Red), in the form of a canal boat ride with live music. We travel along the Leeds-Liverpool canal through what is sometimes referred to as “the Shipley Canal Zone” – moving from the rural surroundings of Hirst Lock, heading between Titus Salt’s mill buildings, and then on into the heart of post-industrial Shipley – full of old mills, warehouses and wharfs. The journey takes us as far as the forgotten mouth of the Bradford Canal. Starting point: the moorings on the upstream side of Hirst Lock, on the Leeds-Liverpool canal, near Hirst Mill Crescent (and close to the finishing point for Green Route). See map here. 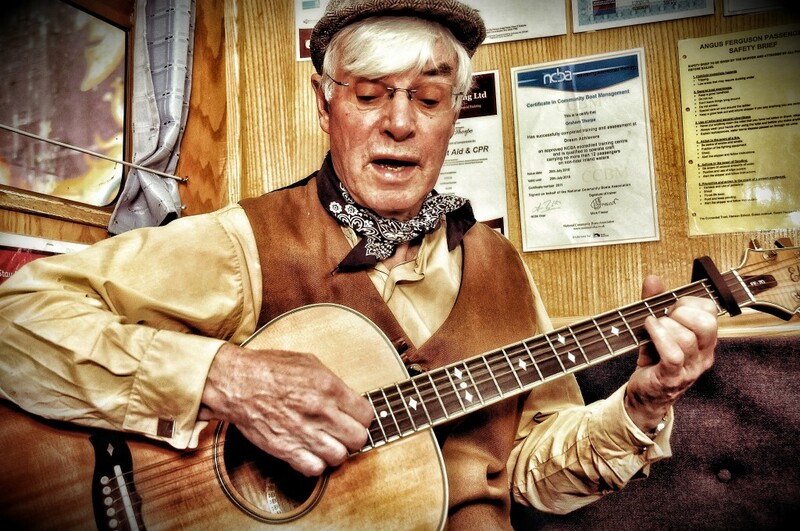 Live music is provided on Blue Route by Eddie Lawler, “the Bard of Saltaire”, who has dusted off some old canal shanties, and provides a couple of original songs of his own (one of them written especially for Blue Route!). 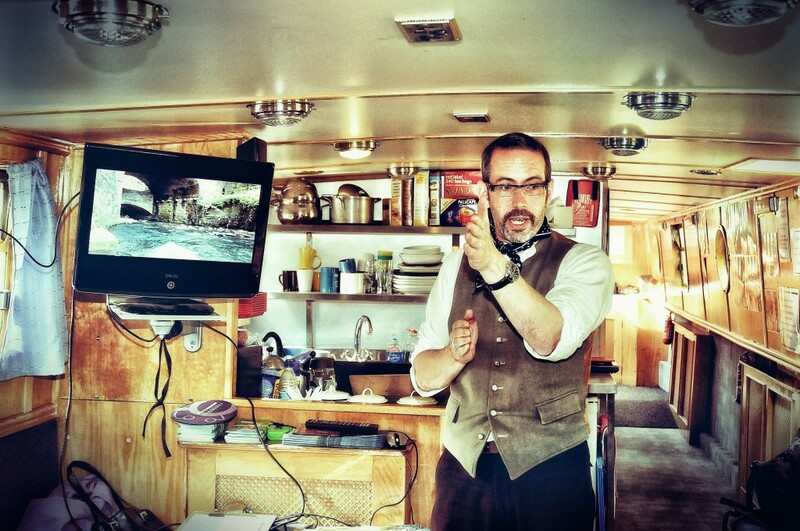 Your guide and narrator is Steve Bottoms, and our boat is the Angus Ferguson, a community barge based at nearby Apperley Bridge and skippered by Graham Thorpe. 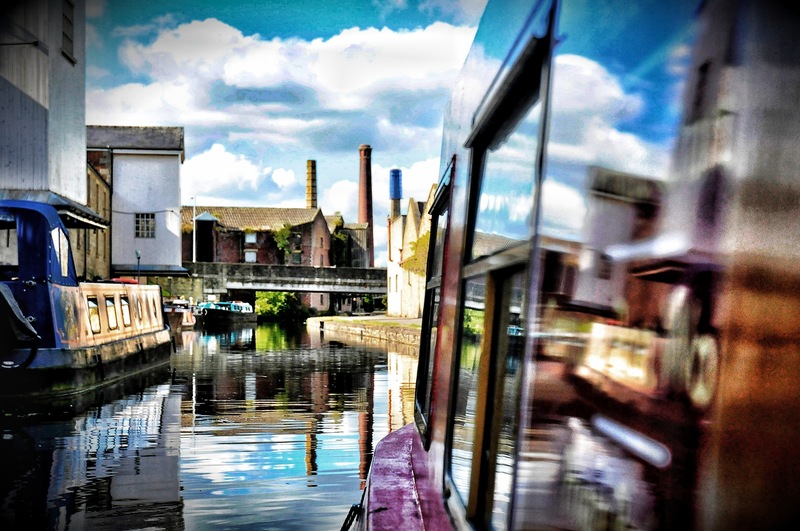 Travelling at a leisurely pace along the canal, participants are playfully invited to consider something of its history, to look at its current condition, and even to propose ideas for its future use. 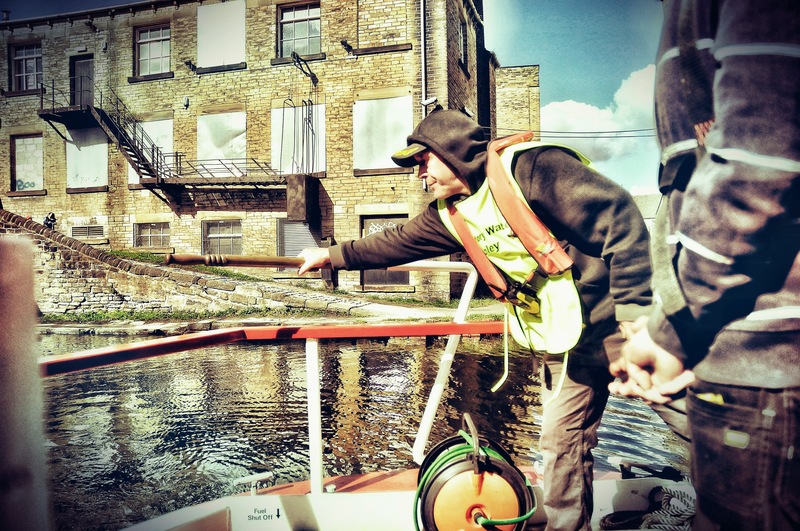 We then turn the boat around in the mouth of the Bradford Canal – an arm of the canal network that was long ago closed down and filled in, but whose foulness remains legendary! The journey ends as we tie up at the moorings opposite Shipley Wharf, where Red Route begins (if you’re not joining us for that, it’s an easy walk back along the towpath…). By car: there are limited parking spaces on Hirst Lane, and you are encouraged to park instead in Saltaire village (car park info here) and walk to the lock as per the instructions above.